When my brother, sister, and I visited our grandparents, were allowed to eat TV dinners on a TV tray and watch TV. Now that I'm an adult, I like to do the same. It may seem uncivilized, but sitting at the dining room table and staring at your family, spouse, or guests is just so boring. I prefer to pull out the TV trays and set everyone up. Now, some of you may be asking, "WTF is a TV dinner? WTF is a TV tray?" or perhaps for our younger readers, "WTF is a TV?" TV dinners were rather disgusting frozen meals that only children could appreciate. Typically, the aluminum tray held a meat entree such as chicken or Salisbury steak, a vegetable like peas and corn, a potato item, and a strange dessert such as a piece of starch with cranberries on top. The whole tray was cooked in the oven and served without the need of a plate. Easy for everyone. I'm sure there was no nutritional value. The vegetables had been boiled to death and then flash frozen. 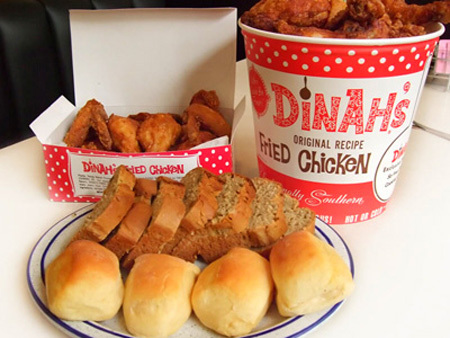 The fried chicken had a remarkable duality: it was both very greasy and very dry. I don't want to consider the sodium content. But when you're eight or ten, who cares? It's like space food that astronauts eat. TV trays were nicely decorated folding trays that could be set up in front of a sofa or chair. They really are an amazing invention. They fold up neatly, can be washed in the sink, and serve a multitude of functions such as eating while watching Mercy Street, as a tray that is impervious to watermarks from drinks, and as a flat surface to hold tools if one is working on a project. While I would stay away from the frozen sodium laced TV dinner, I strongly recommend the TV tray. 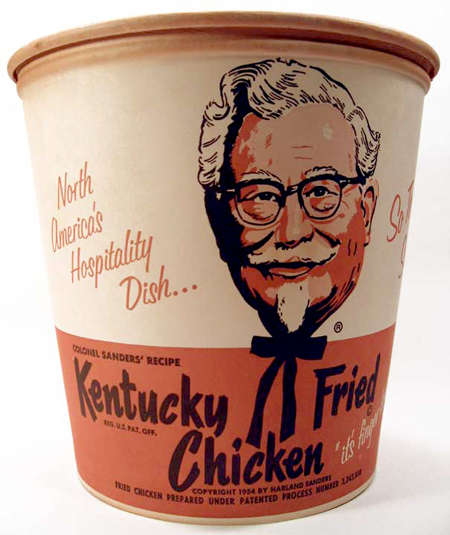 Right now, my Trans-media class at Art Center is working on a rebranding of Kentucky Fried Chicken. You may say, “That’s dumb.” It’s actually a complicated issue. First, there is the name issue. 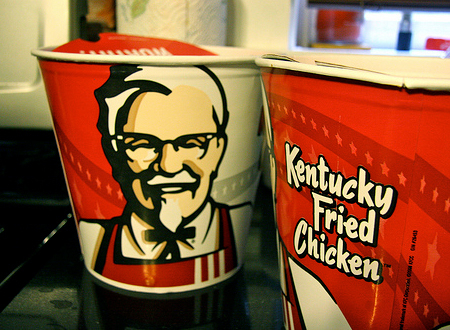 It used to be Kentucky Fried Chicken, then the “Fried” thing was scary, so it became KFC. 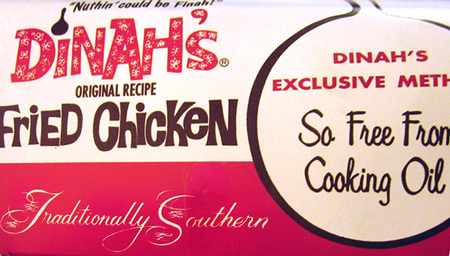 Unfortunately, an untrue rumor was spread that claimed it was called KFC because they couldn’t legally say "Chicken" due to the extreme genetic engineering. So the brand sits in a nebulous territory. There’s also an ethical issue that students need to face regarding fast food’s production, distribution, and nutrition. 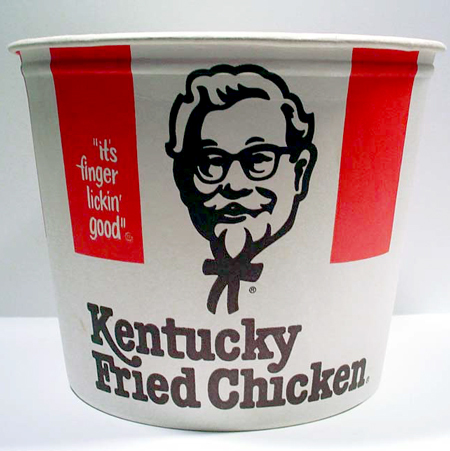 The complex issues aside, I’ve decided that a chicken bucket is a wonderful thing. I’d eat fried chicken every day for the rest of my life if it wouldn’t kill me, or turn me into someone that needed to be fed in bed and turned over with an oar. 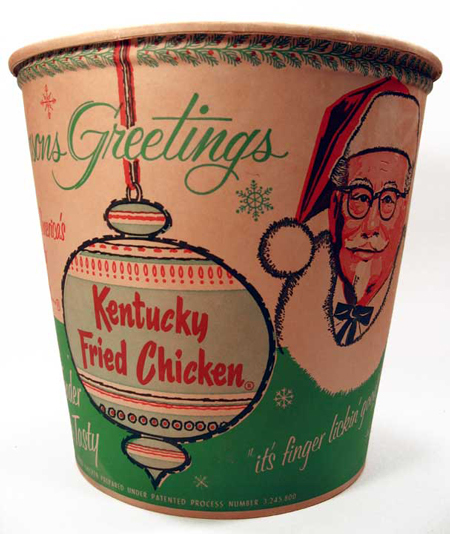 The old chicken buckets don’t shy away from information. The new buckets scream, “Brand, brand, brand.” I like information. It makes sense to do the giant “brand” design on something like a shopping bag. People carry it around and it becomes a billboard. This isn’t the case with fried chicken. 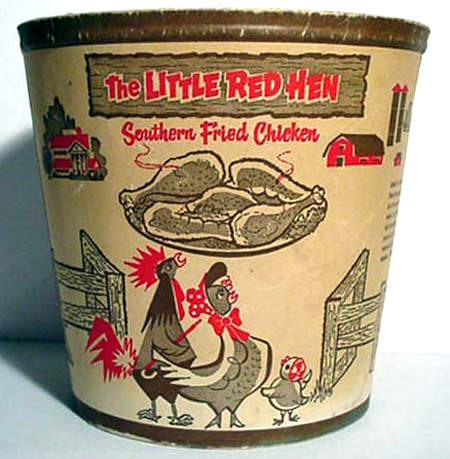 I don’t see many people walking around malls with red fried chicken buckets. 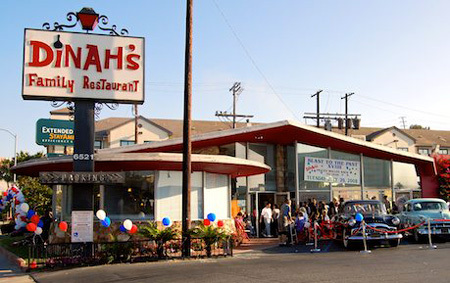 For those of you in the know, the hip, Atwater Village, Silverlake, Echo Park crowd, Dinah’s Family Restaurant is your secret code that says, “Yeah, I’m lo-fi and ironic.” At the beginning of Little Miss Sunshine, a bucket of Dinah’s fried chicken sits on the table. Since Jonathan Dayton and Valerie Faris, two of the grooviest people I know were the directors, it makes perfect sense. I’m not hip, cool, or groovy. I’m like Fred MacMurray on My Three Sons. 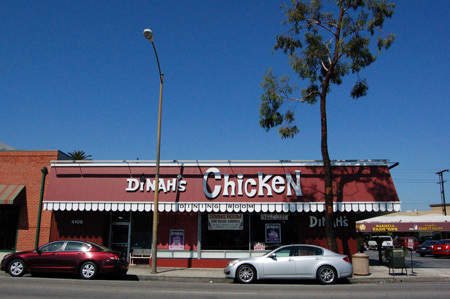 But I do like Dinah’s. It like the typography, and the early American décor circa 1958. And I like the fried chicken. I don’t have too many vices, but eating fried chicken is one of them. If I knew I wouldn’t drop dead, I’d eat fried chicken every day. If it comes in a very cool bucket with funky letterforms, flowers, and polka dots, all the better.